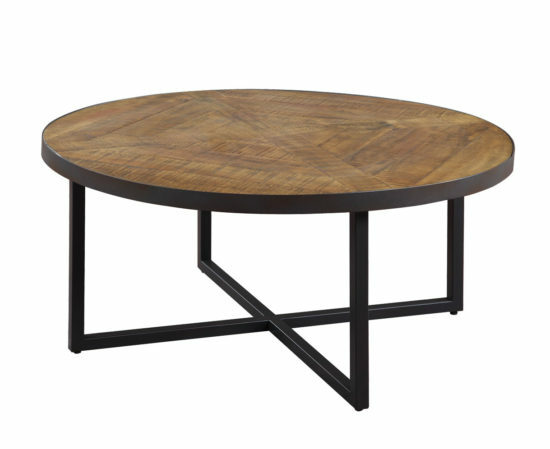 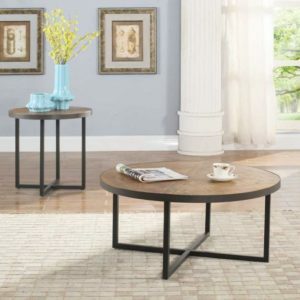 Denton Coffee Table by Emerald Home Furnishings. The Denton occasional collection from Emerald Home is a study in simplicity. 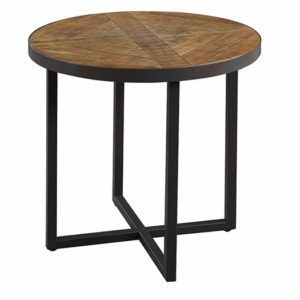 The base is a simple cross of welded metal tubing finished in a dark brown tone and paired with a rustic pine-look planked top. 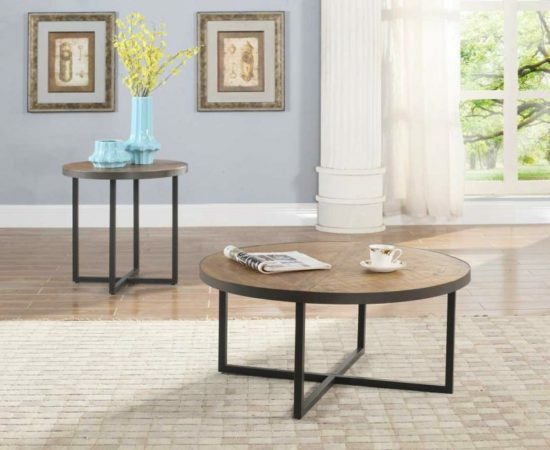 The round cocktail table pairs well with today’s’ sectional sofas and the petite round end table is the perfect accent piece.